Looking down Dale Street. 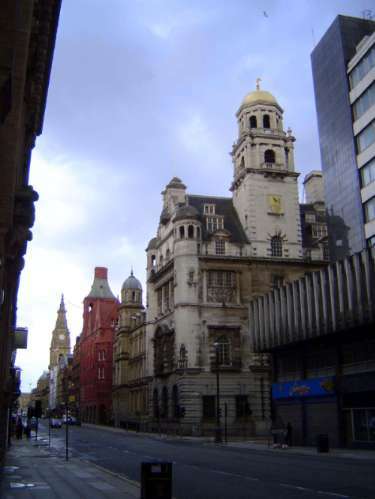 The building in the center right is the head office of Royal Insurance, completed in 1903 by J. Francis Doyle, who had collaborated with Norman Shaw on the White Star Line building, similar in shape though not in color. Sharples calls this building possibly the first self-supporting steel frame structure in Britain.